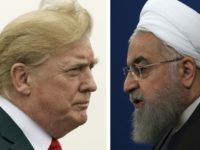 Iran: ‘Global Demand’ Exists for Regime Change in U.S.
Iranian Foreign Ministry spokesman Abbas Moussavi claimed Wednesday that the world longs to see change in the “U.S. regime nature,” a response to Secretary of State Mike Pompeo urging “a change in the nature and the behavior of the Islamic Republic of Iran” as a result of new U.S. sanctions. 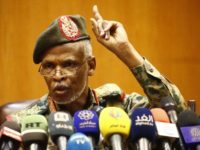 The United States, Britain and Norway urged the transitional military council in Sudan to hand over the power of the country to civil rule while warning it against committing violence against peaceful protesters. 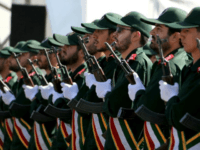 For the first time ever, the U.S. designated part of a foreign government, Iran’s Islamic Revolutionary Guard Corps (IRGC), as a foreign terrorist organization, Secretary of State Mike Pompeo said Monday. 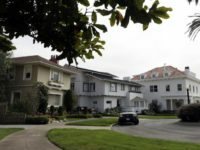 The number of U.S. millionaires climbed to record levels in 2018, with the U.S. reporting more millionaires than Sweden’s total population, according to a report. 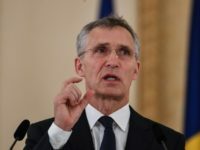 NATO members increased their defense spending over the course of 2018 following pressure from the United States, yet just six countries are meeting targets set last year by President Donald Trump. 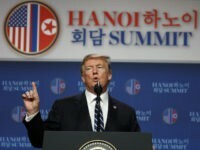 President Donald Trump explained Thursday why he cut short a negotiation summit with Kim Jong-Un in Vietnam. 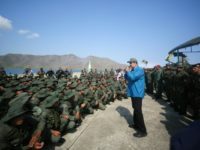 A senior Russian official claims the United States is preparing for a military invasion of Venezuela, as the Trump administration steps up its efforts to remove the Maduro regime from power. 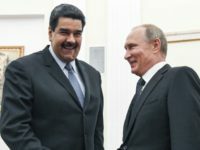 Russia will send 300 tonnes of aid to Venezuela to alleviate the country’s worsening humanitarian crisis, socialist dictator Nicolás Maduro announced on Monday. 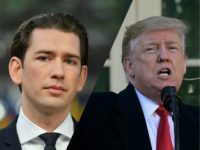 BERLIN (AP) – Austria’s chancellor has described parts of U.S. President Donald Trump’s foreign policy as “very successful” as he prepares to visit Washington this week. 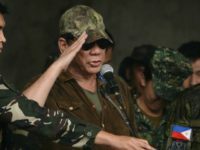 Turkey’s state-run Anadolu news agency touted United States support in defending the rights of Chinese Uighur Muslims, noting Friday that America’s embassy in Ankara expressed solidarity with the country for challenging the Communist Party’s mass internment of the ethnic minority. 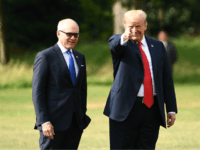 The United Kingdom and the United States have signed a Mutual Recognition Agreement to ensure British-American trade continues seamlessly after Brexit, undercutting EU loyalists who claimed it would be damaged. 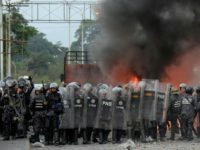 Venezuelan dictator Nicolás Maduro pledged to not let a “single invader” into the country on Monday as U.S. humanitarian aid remains stuck in Colombia on the border. 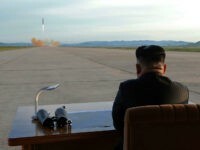 The State Department’s special envoy for North Korea, Stephen Biegun, admitted in remarks Thursday that Washington and Pyongyang “do not have a specific and agreed definition of what final, fully verified denuclearisation” means, hindering talks to end the communist regime’s illegal nuclear program. 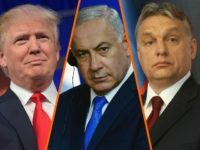 TEL AVIV – Venezuelan self-proclaimed interim leader Juan Guaido thanked Prime Minister Benjamin Netanyahu for recognizing his government on Sunday. 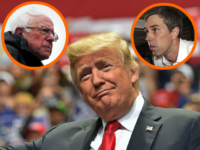 Deposed Venezuelan dictator Nicolás Maduro and his allies in the American far left have worked overtime this week to paint the inauguration of President Juan Guaidó as a U.S.-backed, right-wing coup. 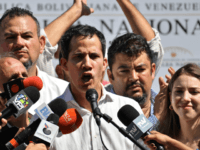 In doing so, they omit perhaps the single defining trait of Guaidó’s opposition coalition: his party, Popular Will, is a member of the Socialist International (SI). 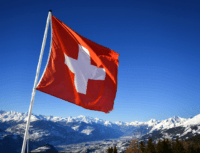 The United States Embassy in Bern, Switzerland, has issued a security alert after reports of an explosion near its consular agency in Geneva. 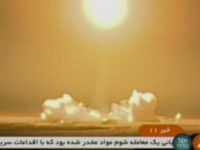 Iran launched a satellite into space Tuesday that failed to reach orbit and is preparing to deploy another one in the coming days, state-run media from the Islamic Republic reports. 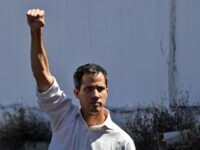 Brazil announced last week it will recognize the leader of Venezuela’s National Assembly, Juan Guaidó, as the country’s new president, dismissing dictator Nicolás Maduro as illegitimate. 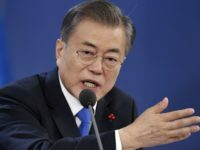 South Korean leader Moon Jae-in announced on Thursday that he would ask the United States to lift sanctions on North Korea, in part to allow Seoul more contact with Pyongyang. 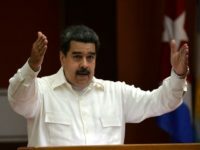 Venezuela: Socialist Supreme Court Judge Flees, Seeks Asylum in the U.S.
A Venezuelan Supreme Court Judge fled to the United States on Sunday to protest the continued rule of Nicolás Maduro’s regime, days before the socialist strongman takes power for a further six-year mandate. 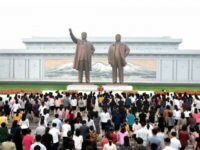 North Korea’s state media has wrapped up 2018 with yet another tirade against the United States, this time condemning Washington’s condemnation of the dire state of human rights in the communist country and insisting that any criticism is the product of the envy Americans feel at the “flower garden of human love” in North Korea. 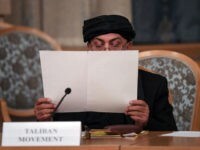 Taliban narco-jihadis have vowed to return the strict Islamic rule to Afghanistan they imposed when they ruled the country and treat Afghans of all faiths, backgrounds, and ethnicities the same if ongoing peace negotiations succeed and they rise to power as a legitimate political group. 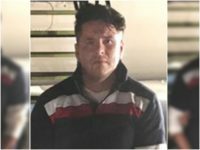 A Mexican national wanted for double homicide in Mexico was admitted to the United States through the H-2B visa program. 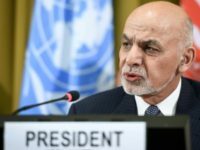 Afghan President Ashraf Ghani revealed Thursday that he had received the Secretary of Iran’s Supreme National Security Council, Ali Shamkhani, in his office, shortly after reports verified that Iranian government officials have been in touch with the Taliban amid peace talks with the U.S.
2018 was the year that the United Nations made it first attempt at the global governance of migration — a move rejected by patriotic countries like the United States, Hungary, Israel, and Australia. 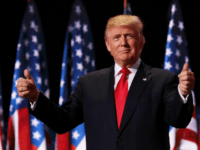 Third quarter U.S. gross domestic product (GDP) was slightly revised to 3.4 on Friday, the third estimate nearly unchanged from the 3.5 percent second estimate. 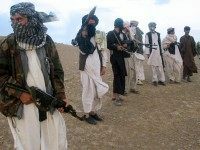 The U.S. and the Afghan Taliban focused their two-day round of peace negotiations in the United Arab Emirates (UAE) this week on ending the more than 17-year-old American military presence in Afghanistan, a long-stated goal of the terrorist group, a spokesman for the jihadi organization stressed.